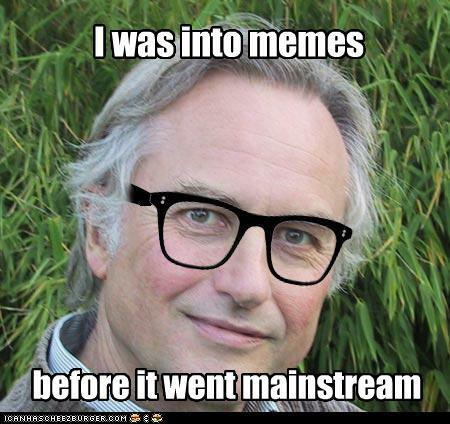 did you know….meme was actually coined by richard dawkins in a 1970s book he wrote? i think it had to do with genes evolving and propagating. anyway, i had nothing on my schedule for today! so i guess today is meme monday and word wednesday!